On Thursday, January 26, the Minnesota Twins’ 52nd annual Winter Caravan made a private stop at Mayo Clinic’s Saint Marys Hospital. 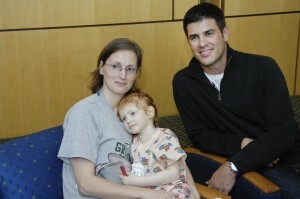 Players Joe Mauer and Danny Valencia, as well as radio broadcaster Cory Provus, attended the event, visiting patients at the Mayo Eugenio Litta Children’s Hospital. 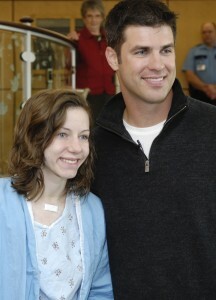 They signed baseballs and took photos with patients and their families. 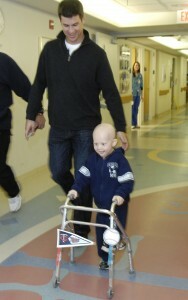 Joe Mauer even managed to fit in a race down the hall with 4 year-old Kaden, who recently underwent rotationplasty at Mayo Clinic. See the below pictures. A special thanks to these Twins visitors for taking the time to brighten many children's days.